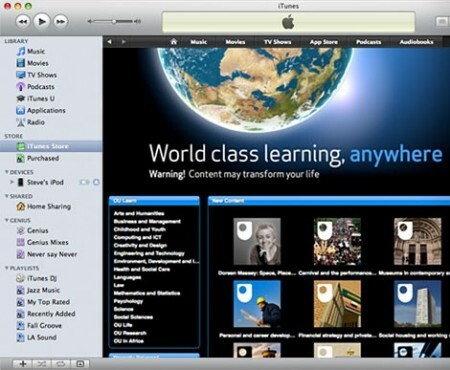 According to The Loop, Apple’s iTunes U got over 250 million downloads! iTunes U is a free service where some universities provide recordings of their courses for download including the iPhone development course by Stanford. It’s a shame you don’t have a donate button! I’d most certainly donate to this superb blog! I suppose for now i’ll settle for book-marking and adding your RSS feed to my Google account. I look forward to fresh updates and will share this website with my Facebook group. Talk soon!